Environmental Site Assessments / Compliance Audits. 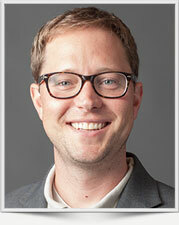 Scott Lindenmuth is a Senior Environmental Scientist with nine years of environmental consulting experience. Project experience has been focused in site investigation, remedial activities, and environmental compliance consulting. Specific projects have included soil and groundwater investigations; remedial technology selection, implementation, and operation; groundwater monitoring; as well as environmental compliance and due diligence consulting. Scott has field experience managing and performing site investigations including oversight of drilling, monitoring well installation, and soil classification; soil, groundwater, air, and NAPL sample collection; aquifer slug testing; and LNAPL baildown testing. Field activities associated with site remediation have included remediation system operation and maintenance for LNAPL recovery systems and dissolved-phase pump and treat systems; remediation feasibility studies; pilot testing; and buy advair diskus online. Office experience includes evaluation and presentation of investigation data and composition of subsurface investigation summary reports, Phase I and II technical reports, groundwater monitoring reports, remedial action completion reports, remediation system evaluation and progress reports, NPDES discharge monitoring reports, project proposals, cost estimates, and work plans; assisting in remediation system selection and design; preparing geologic cross-sections, piezometric maps, and spider diagrams; preparing HASPs, subcontracts, and work orders; constructing tables and managing project data using Excel; and preparing and presenting project information to coworkers, clients, and regulators. Scott supervised installation and operation of two pneumatically-driven LNAPL recovery systems. During operation, he was responsible for monitoring site remedial progress and system performance metrics through collection and evaluation of technical data. He composed separate RACRs for each recovery system and successfully received closure from the Illinois EPA. During operation, Mr. Lindenmuth was responsible for submitting quarterly reports to client and the Illinois EPA regarding remedial progress and LNAPL recovery. Following redevelopment, including installation of all engineered barriers, Scott completed remedial action status reports for 11 subparcels on the property; having been granted NFR letters from the Illinois EPA for all. Scott served in a primary support role during an extended off-site soil and groundwater investigation. He also assisted in evaluation of groundwater investigation data. Scott was responsible for operation and performance of the on-site air stripper groundwater treatment system. He completed monthly, quarterly, and semiannual NPDES compliance reports for submittal to the client and appropriate agencies. Scott operated in a leadership role during the investigation, delineation, and containment of a LNAPL plume within an active tank farm. He was responsible for evaluating current and historical data to assess remedial options with the primary goal of containment of mobile LNAPL in the area. This included constructing a LNAPL conceptual site model for the area, geologic cross-sections, and hydrographs of LNAPL and groundwater gauging data. Scott assisted in the design of several options for LNAPL containment for consideration by the client. Scott performed as the primary site supervisor and system operator for a multi-phase on-site groundwater treatment system. He was responsible for monitoring and evaluating system performance. He managed personnel assisting with regular system maintenance and operation and coordinated regular compliance performance metric reporting responsibilities to the client and agencies. Scott also conducted an investigation of LNAPL and DNAPL to characterize extent, recoverability, and physical characteristics. He completed monitoring and recovery reporting including recommendations to the client for further action. He assisted in presenting remedial options for existing aqueous and non-aqueous phase contaminants. Scott served in the capacity of field team leader for regular groundwater monitoring events. He coordinated and provided oversight of three groundwater sampling crews responsible for sampling approximately 150 monitoring wells. He completed an evaluation of LNAPL transmissivity values for the site during LNAPL recovery feasibility testing. He also oversaw free-phase hydrocarbon exploratory soil borings at the facility and installed monitoring wells as part of subsurface investigations. Scott assisted in the production of investigation summary reports for the client and agencies. Scott operated in the capacity of field supervisor for environmental consulting services at an active chemical facility. He was responsible for coordinating with the client and agencies for quarterly groundwater sampling events to monitor dissolved-phase impacts. He oversaw the installation of overburden and bedrock borings and installation of monitoring wells during further investigation as part of on-going litigation using roto-sonic drilling technology. Scott assisted in the expansion of an on-site groundwater pump and treat system including installation of recovery wells and associated pumps and piping. Other activities at the facility Scott has coordinated and performed include sediment sampling of three settling ponds, surface water sampling, and area residential sampling. Scott was responsible for oversight of a 30-yr VOC GMZ. He performed semi-annual groundwater sampling of twelve monitoring wells and facilitated other services on an as-needed basis. He also completed piezometric contour maps of the site on a quarterly basis. Scott participated in soil and groundwater investigations throughout an active facility. Work included supervision of HSA drilling operations and soil classification during the site-wide investigation. He participated in sediment sampling of several lagoons and completed regular groundwater sampling events. Scott participated in Phase I Environmental Site Assessments and limited regulatory compliance audits of several paper mills throughout Indiana, Wisconsin, and Michigan. He completed technical reports for submittal to the client in preparation for sale of the facilities. Scott has completed subsurface investigations at a wide range of facilities including manufacturing, industrial, retail gas station, and underground storage tank sites. Responsibilities have included project scoping; preparation of work plans and budgets; internal project setup, implementation, data evaluation, and technical reporting. Scott has completed assessments for a variety of commercial and industrial clients in Illinois, Indiana, California, and Colorado. He has been responsible for project management within large Phase I portfolios including tracking of project schedules and budgets. He has conducted site reconnaissance visits, completed technical reports and participated in their progression to Phase II investigations, as necessary. Based on evaluation of site RECs, Scott has made recommendations to clients for further action.